The nearest water source for the people of Marwa is a five-mile journey. You can help Ohio State engineers build a water-delivery system for this remote Tanzanian village, forever changing — and saving — lives. People living in the remote Tanzanian village of Marwa lack a necessity many of us take for granted: water. The nearest source is nearly five miles away, at the Pangani River, which flows off Mount Kilimanjaro and Mount Meru. Maasai women and children spend their days trekking to the river, and what they find there isn’t a sparkling mountain stream. Contaminated water means illness — including cholera — is a constant threat. Innovative ways to deliver water to Marwa could save lives and open a world of opportunities for the village’s women and girls. Imagine walking seven hours a day, every day, simply to make sure your family had water. That’s reality for Marwa’s women and girls, who may never gain an education or participate in village business activities because of the time they spend collecting water. Each morning, Maasai women and girls pack up every container available and march hours to the Pangani River. They fill their containers and haul them back. That water covers the basic needs of every home, all livestock, the village schools and the medical clinic — until the next day, when the cycle resumes. Led by Michael Hagenberger, Ohio State students are working with the University of Dodoma and a non-profit, Kilimanjaro Hope Organization, in Tanzania to bring water to Marwa. To provide for immediate needs of schools and the medical clinic, the team and community raised money and constructed three rainwater harvesting systems that made an immediate impact. In one year, eight newborns survived because of the clean water. (Previously, women had to pay for clinic water, and many could not afford the service.) The harvested water provides the two liters each child had to bring to school daily for food and cleaning. The team’s permanent solution, however, needs your support. Help us install a system that will take water from the Pangani River, purify it and deliver it to Marwa. Your support will help Hagenberger and his team raise the estimated $750,000 it will cost to build the gravity-powered treatment and distribution systems and the 23 miles of pipe needed to deliver clean water from the Pangani to the village. Your gift will create ripples of change in the Marwa community. Ohio State reaches far beyond our Columbus and regional campuses. 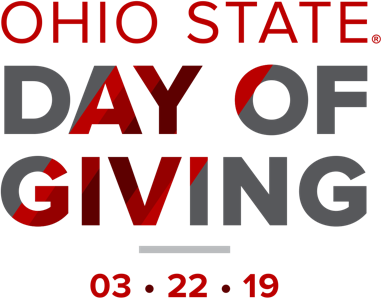 And your support to our global initiatives maintains our ability to provide enriching study abroad programs, fund the university's Global Gateways, support humanitarian efforts, study climate change and more.